The 4th annual Stars of the Season, led by the Advisory Council of Cardon Children’s Medical Center, will be held at 6:00 p.m. on Saturday, October 26th at the Montelucia Resort & Spa. 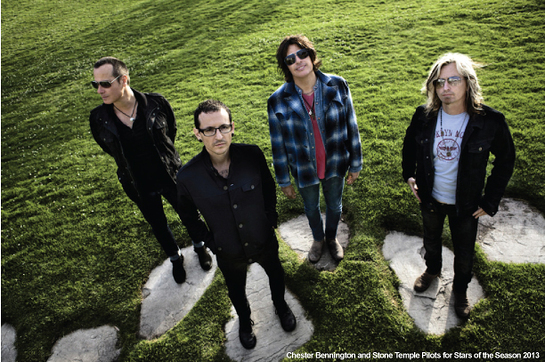 Enjoy an evening of cocktails, dinner and live entertainment featuring Stone Temple Pilots led by Chester Bennington of Linkin Park fame and hosted by Ted Stryker, drive-time DJ on The World Famous KROQ in Los Angeles. Chester, his wife, Talinda, and Linkin Park, have been supporting The Stars of the Season for the past 3 years with both- awareness and financial donations. Chester Bennington and his wife, have donated their time, efforts and have been responsible for spearheading entertainment and awareness for the Stars of the Season without any compensation. Proceeds from this year’s event will benefit The Neonatal Intensive Care Unit at Cardon Children’s Medical Center. The Level III NICU is one of the largest and most comprehensive in Arizona and is uniquely situated on the Banner Desert Medical Center campus, the East Valley’s leader in high-risk obstetrics.